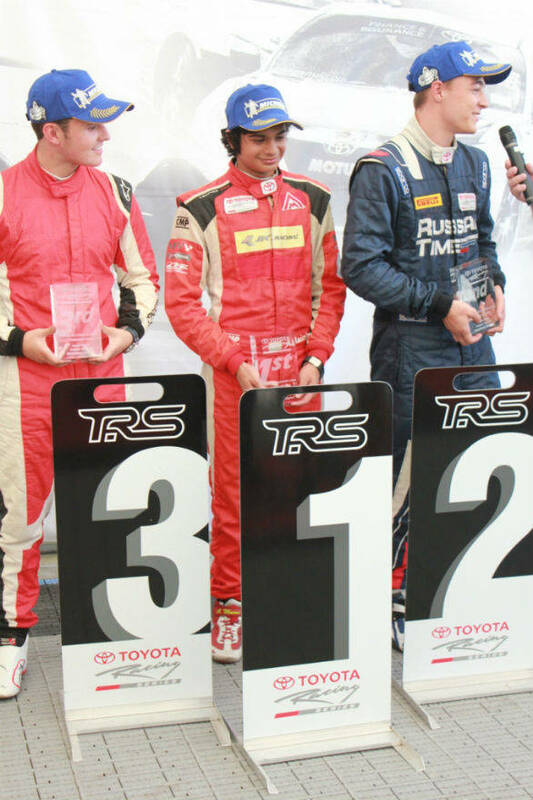 Bangalore boy Arjun Maini was awarded the iconic Denny Hulme Trophy in the Toyota Racing Series at Taupo in New Zealand. He is the first Indian to have achieved this feat, having won the feature race of the penultimate round of the series. The Denny Hulme Trophy is named after the 1967 Formula One champion who is also regarded as one of the pioneers of motor racing in New Zealand. The race start was full of drama, with Callum Ilott leading Arjun Maini into the first corner, while behind them, Frenchman Brandon Maisano ended up colliding with another car and rolling over, resulting in the Safety Car coming on to the track. When the race restarted, Maini managed to leapfrog Ilott to lead the 20 lap race up until the chequered flag. The win, however, was hard fought as he had to fend off challenges from his competitors, while battling tyre degradation. Post the race, Arjun Maini said, "I was having trouble with grip as our tyres were not fresh, and every time I looked in my mirrors I saw a different car on my tail. I could see them all back there so it was difficult to control the pace because they would run very close to me under braking." Arjun Maini was being chased by Irish driver Charlie Eastwood with Artem Markelov in hot pursuit in third. Later on, Eastwood conceded P2 to Markelov, setting up a nail biting battle with Maini in P1. Arjun hung on to P1 as Markelov reduced the gap to a mere 0.2 seconds by the end of the race. The win enlists Arjun along with previous winners such as Scott Dixon , Earl Bamber, Mitch Evans and Alex Lynn. As part of the prize, Maini also received a unique Tissot watch that winners of the trophy get. 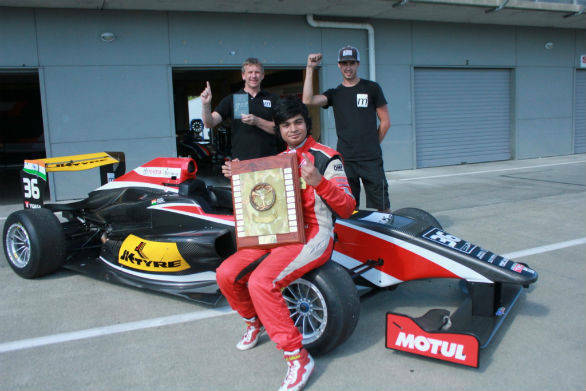 The weekend was a mix of ups and downs for Arjun Maini who surprisingly had his race win in Round One declared invalid as the stewards noticed that he made a jump start. The Indian sited a clutch issue as the cause for the error saying, "I'm quite happy with the win. After crashing out during practice and having only one session, to then get pole position and win Race One and have it stripped away, to finally standing on the top step, it's been something of a roller coaster of a weekend. I've had the pace the entire weekend and I'm satisfied that I now have something to show for all the hard work. As always I couldn't have done it without my M2 Competition Racing Team as well as my sponsors JK Tyre and Kirloskar Electric." 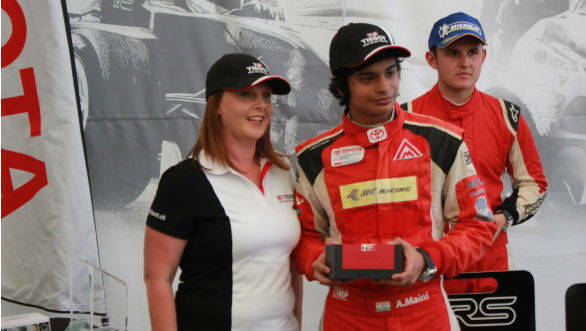 Arjun Maini now stands second in the championship with a 17 point lead over P3. The final round of the Toyota Racing Championship will be held in Manfield in a week's time.